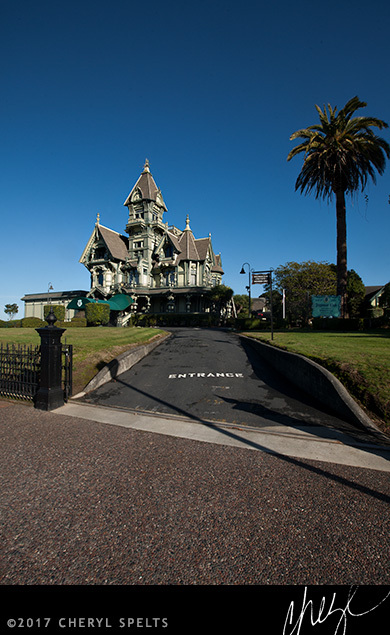 Carson Mansion was built by Northern California’s first major lumber baron, and is arguably the most famous Victorian house in the United States. 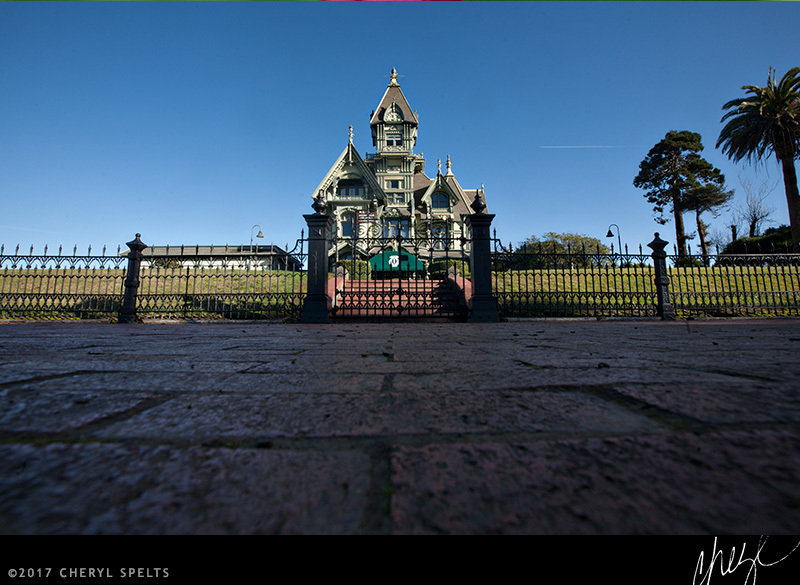 How many Halloween decorations have you seen, with a haunted mansion that sort of look like they were based on it? It’s also one of my favorite houses, and I was super excited to see it for the first time, and even more excited to come back with my camera, and finally get some images of it. 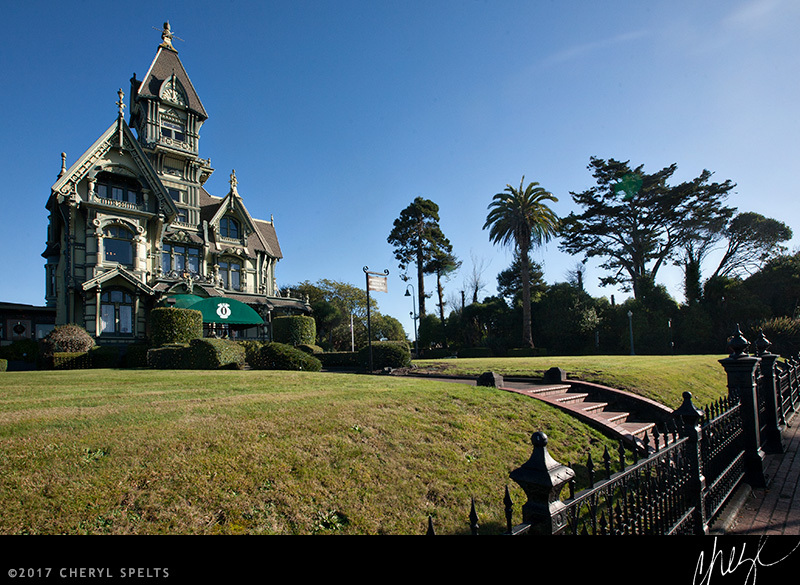 Built from 1884-1886, the Carson Mansion is located in Old Town, Eureka, California, right on the water. It was the home of William Carson and his heirs until 1950, when the remaining family left Humboldt County. They sold the Carson Mansion to a private club for $35,000, and the Ingomar Club still exits today, and has done a wonderful job maintaining the house for almost 70 years. 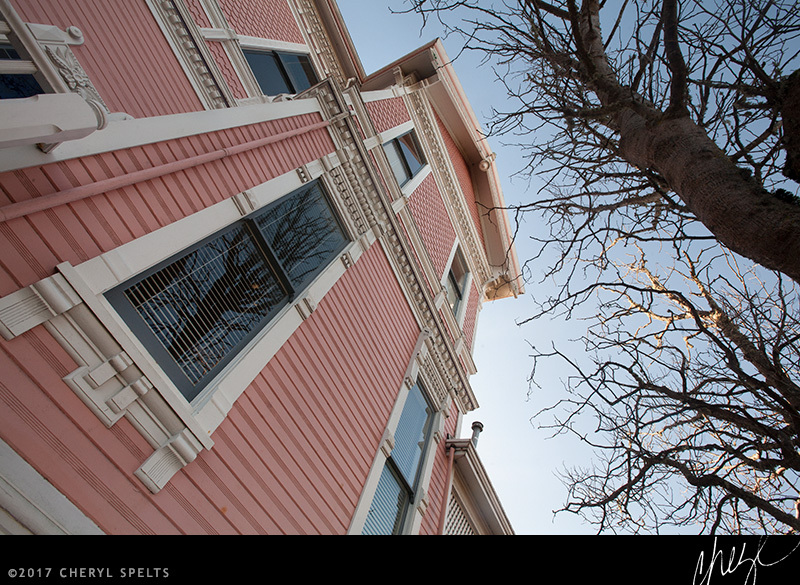 The Pink Lady, sits across the street from Carson Mansion, and was built in 1889 as a wedding gift for William Carson’s oldest son. 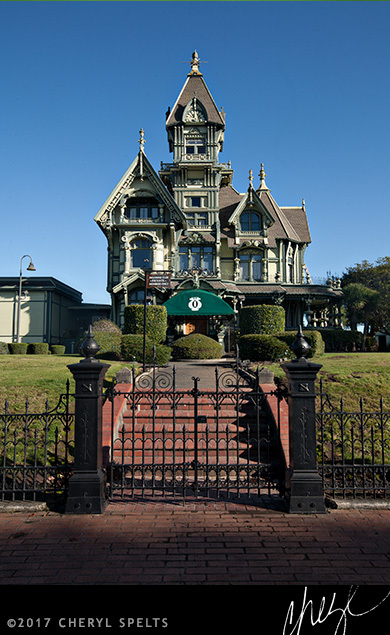 It too is a magnificent example of Victorian architecture, and is part Queen Anne, with some Eastlake, Italianate, and Stick features, and was designed by the same architects, Samuel and Joseph Cather Newsom of San Francisco. 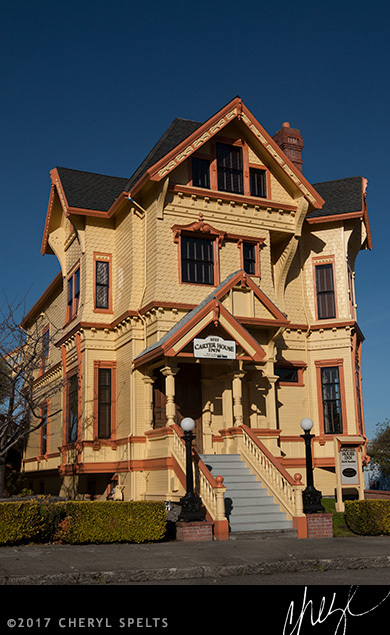 The Carter House is a replica of the Murphy House, a home built in 1885 in San Francisco, which was lost in the San Francisco earthquake in 1906. 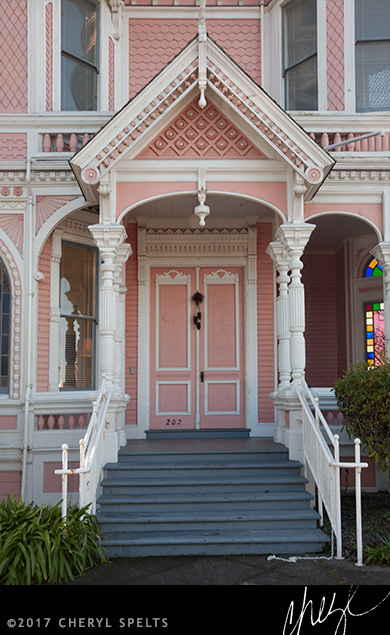 The Carter House was constructed in 1982, using the original plans by Samuel and Joseph Cather Newsom, which had been discovered in San Francisco. 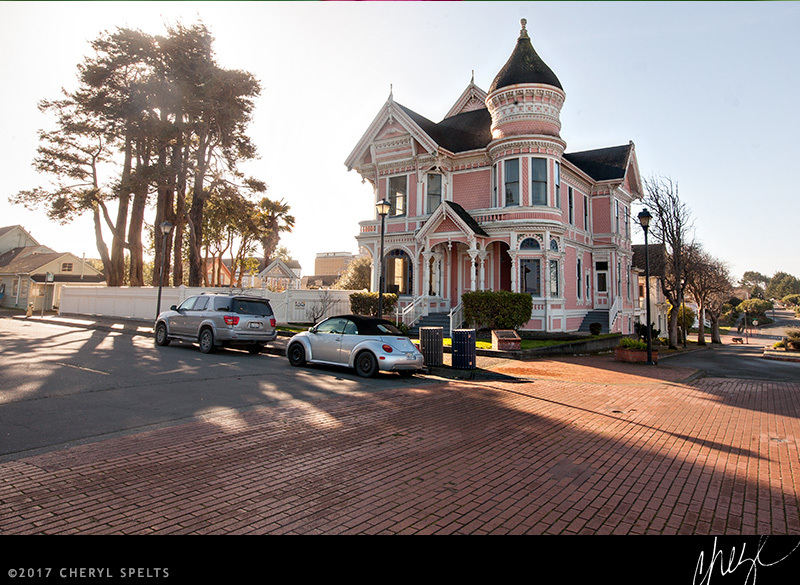 Newsom and Newsom are the same architects who designed both the Carson Mansion, and the Pink Lady, and the Carter House is located just a couple of blocks away, in Old Town, Eureka. 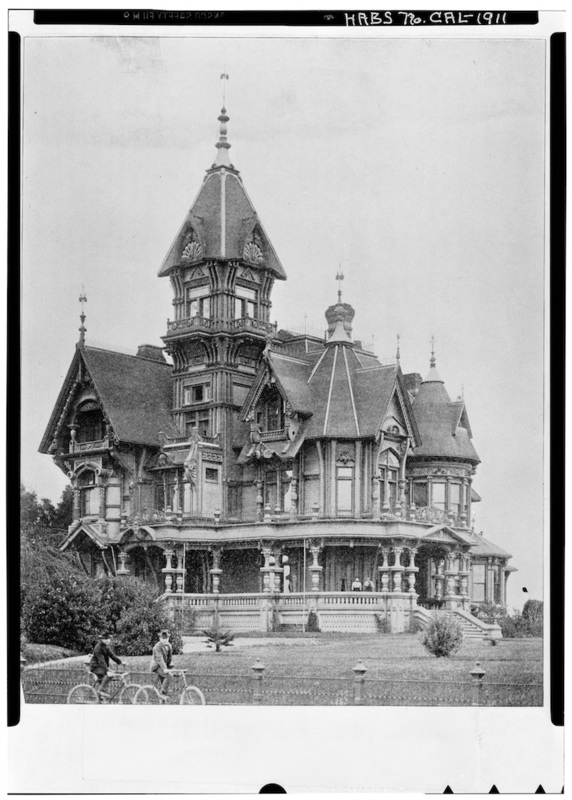 This historical image was shot in 1902, by an unnamed National Park Service employee, and shows how the Carson Mansion looked almost 20 years after it was built. Eureka is still a great place to ride a bike!